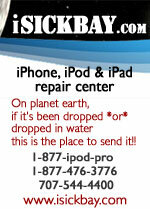 Silca makes three single action floor pumps, the least expensive is known as the "Pista" or Track pump. The Pista has largely steel construction, The base is made of cast steel extending on one side for your foot to apply downward pressure against the pump's up stroke. 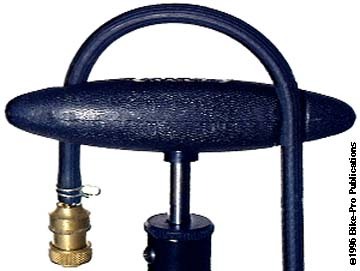 The compression tube is made of steel with the base end of the tube made air tight by the welding of a steel end cap that has a single 5mm in diameter air exit hole that seats with a seal over a cast and small machined brass reservoir that delivers the compressed air through a check valve to the air gauge and air delivery hose. The compression tube end cap has two threaded holes to receive two bolts that pass up through the cast steel base and the machined brass reservoir which tightly pull and seal the major components together. The reservoir has an air pressure gauge mounted on the top which reads up to 240 PSI or 16 barometric atmospheres. 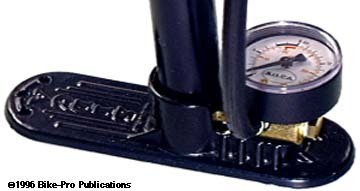 Exiting the side of the reservoir is the air hose which is 31" long and uses reusable compression, spring clips to fasten to the block and to hold the air chuck, so replacement of the hose should it become necessary, will be simple and easy. We've found the hose material available in auto parts stores as the type used for fuel line. The air chuck is machined from brass and has no thumb lock. It is Silca part number 24.4 and has inner reversing parts that permit it to inflate either Presta or Schraeder valves, though it comes from the factory set for Presta valves. Silca makes another air chuck for Presta valves only, which is available separately called the Art 24.0 and is listed below. The plunger assembly follows traditional construction. The plunger shaft is made from steel rod, threaded at both ends. The reservoir/gauge end uses washers and a nut to hold in place a cup shaped piece of thick leather for the piston. A Black molded plastic cap closes off the top end of the compression tube and is held in place by two screws passing through the compression tube into the cap piece itself. The handle threads onto the plunger shaft and is made of Black molded plastic. The handle has two recesses molded into it for the air hose to snap into when not in use. This is the pump our service department depends on when hand inflating a Presta tube. 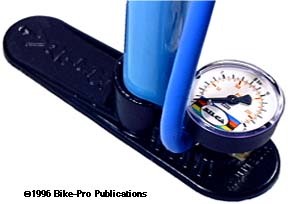 The Silca Pista weighs 1463.5 grams and we found that 1 stroke of the pump delivered 225ml of air. Black only made in Italy.